Durango, Colorado is a family friendly vacation destination with many things to do. Durango is famous for its outdoor sports and adventure along with historical and cultural attractions. A ride on the Durango and Silverton narrow Gauge Railroad through a canyon and the gorgeous mountain scenery up to the former mining town of Silverton is one of the most popular things to do. Purgatory Ski Resort in Durango is said to be a family mountain, but this is a destination for everyone. A whole new area of tree skiing is opened along with new intermediate and expert runs, new chairlifts, new snowmaking capacity and additional cat skiing areas. Purgatory Ski resort is about 20 minutes drive from downtown Durango. If you don’t want to stay in town, then you may consider Purgatory lodge with Ski-in, Ski-out access to the mountain with two to four bedroom units, a pool, a hot tub and restaurant. This is a great option for families. One of the best ways to see this terrain close is to participate in Colorado horseback riding. This state is filled with countless spots to go on a horseback. Durango in particular has amazing ranches staffed by friendly guides and of course magnificent horses. Kayak, tube or raft the Animas River: the river that flows through Durango also offers the opportunity for water activities like tubing rafting and kayaking. The upper Animas offer amazing white water. The lower Animas are dramatically and are suitable for anyone who wants to enjoy it. 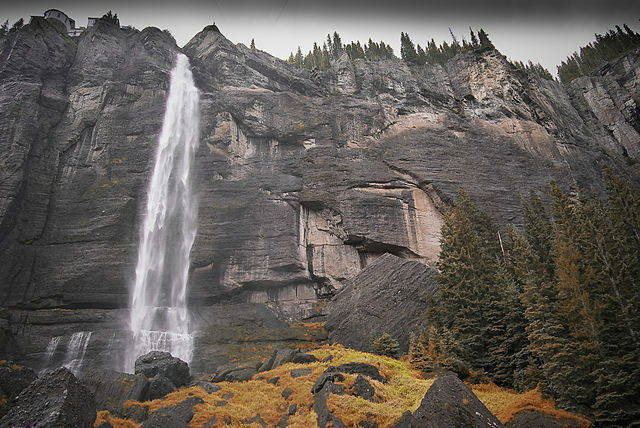 If you’re looking for a rejuvenating hike filled with gorgeous scenery and breathtaking natural features, Durango Colorado is the ideal destination for you. This area has countless hiking trails and wilderness, each one containing their own unique components and landmarks. Hiking in Durango is the perfect activity. If you are looking for some fun and you like to gamble, there are towns nearby having casinos in each with their own unique and exciting qualities. Sky Ute Lodge and the Casino are only 20 minutes south of Durango. The Ute Mountain casino is about an hour from Durango. Celebrate at a concert or event: rock out at exciting happening like concerts and live sporting events at the 12000 square foot event center. Country artist Travis Tritt, Easton Corbin and Dwight Yoakam have all graced the stage as well as Coedan Sinbad. The facility has also been the site of boxing matches and the growing sport of Mixed Martial Arts. Walk or bike the Animas River Trail: the Animas River Trail starts from Animas City Park and runs for seven miles along the Animas River. There are ideal spots for watching the Narrow Gauge Railroad pass by with eight trains running daily. Locals and visitors enjoy waiting for it to arrive to snap that postcard perfect pic. Walkers can simply enjoy the scenic beauty of the river and its lush surrounding. Picnicking on the river banks or fishing the entire length of the river along the trail is enjoyed. Enjoy a Chuck wagon supper at Bar D is considered one of Durango’s top attractions offering the chances to step back in time to the old West complete with delicious chuck wagon dinners like the cowboys often enjoyed around the fire after a long day of driving steer. The Bar D offers a similar experience that come complete with musical and comedy performances and lively dances. There is a wide range of activities too like a mini train ride and playground for the little ones, hay rides, gold panning, and horseshoes, roping and hiking on nature trails. The property also have an ice-cream and java cafe, a chocolate shop, a gift gallery, a blacksmith shop, leather shop, record shop and a cowboy chapel for weddings. Ride the Durango train to soaring Tree Top Adventures which feature the largest zip line course of its kind. The family friendly eco tour will carry you across the Animas River and through majestic old growth ponderosa pines and leafy aspen groves. Once you arrive a friendly sky ranger will help you with your gear and get you started. You’ll enjoy a four course gourmet lunch prepared by the chefs and snacks throughout the day excursion. The historic starter Hotel in Durango: the hotel starter attracts guest year round to enjoy the mountains, rivers, hot springs and other attractions. Access Durango’s downtown on foot is fun. The hotel is walking distance to restaurants, shopping and historic Durango and Silverton Narrow Gauge Railroad Train depot. A ride on the train is a must to do activity for every visitor. Reserve a vacation home or cabin rental for a secluded retreat at Durango.